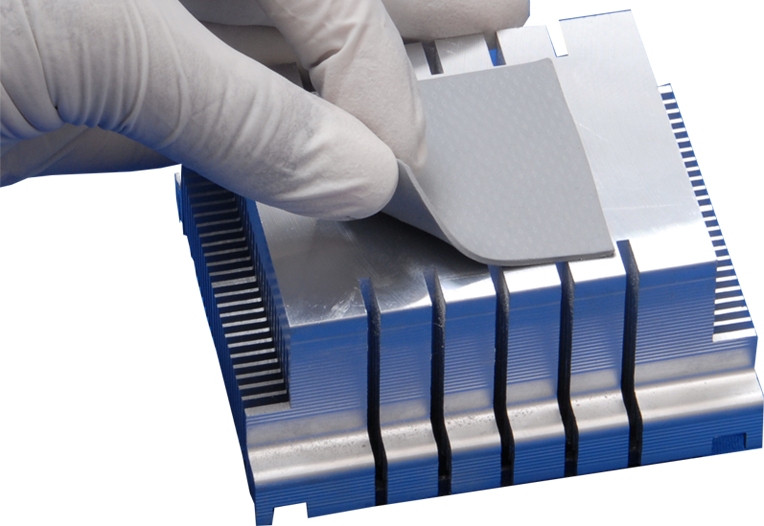 P Series are extremely soft, gel type products,highly conformable thermal interface gap filler designed to meet industry’s rapidly growing need for interface material with high thermal conductivity and conformability for low stress applications. TIM-GAP HTC-16: High thermal conductivity (16 W/mºK) with low modulus. Excellent choice for high speed processor with very high heat flux in small area. TIM-GAP 1161: Conformable, thermally conductive with electrically insulated. Commonly used in uneven, irregular surfaces to fill air gaps. High thermal conductivity (6.1 W/mºK) with low modulus. TIM-GAP 1128: Cost-effective, maximize heat transfer from electronic components to heat sink or heat spreaders. High thermal conductivity (2.8 W/mºK) with low modulus. TIM-GAP 1113: Low Cost solution. Specially designed for extremely low stress applications, clean, production friendly, lowest modulus type, viscoelastic thermal interface material. These gel type gap fillers require very low compression force at high compression rates, allowing it to gently conform to most component shapes and uneven surfaces. This advanced thermal interface material is ideal for applications that have delicate or wide-variation component heights and require material compression between 30% and 80%.